Great, indeed. Looking forward to watching your first video. @Joe, I deleted the video by mistake when I was editing. It’s back up now. You should show a transcrip before the video, there are a lot of no english domainers that like me write/read but don’t understand ANYTHING when people speak. I have no clue this guy talked, not even the theme! Great point Francois. I’ll consider that for the next video interview. Thanks for the feedback. Wow, I know this is the internet, but you looked completely outclassed. Wearing a t-shirt to interview a guy who operates a custom clothing company? What were you thinking? @Joseph, that’s how I roll. I wasn’t interviewing for a job. Cool! Video interview is so much more fun! This gave me some insight into how Antonio thinks and what his thought processes were to get him where he is today. 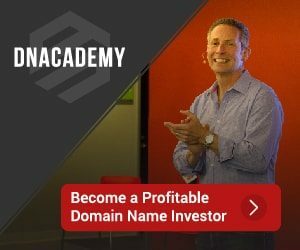 Your Name or a Brandable Domain Name?